After the Sirius XM Doctor Radio Show! 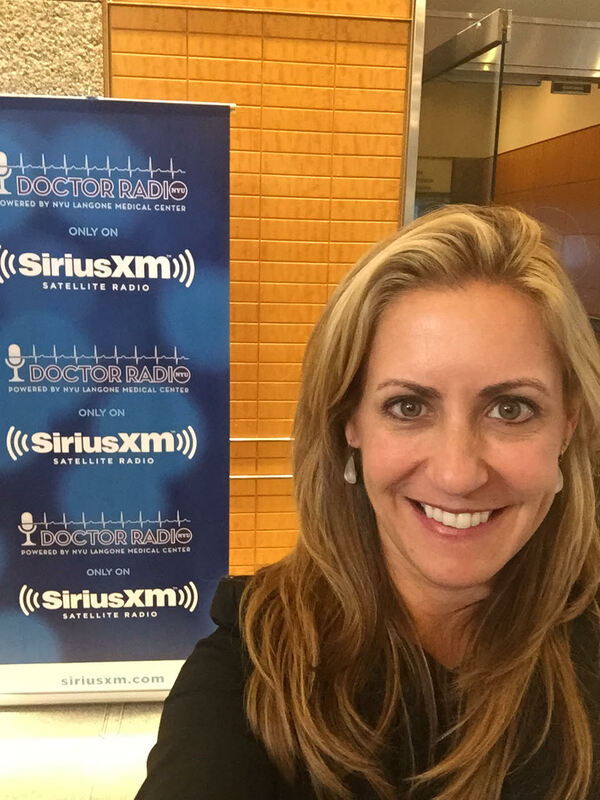 Last Wednesday evening, I did a Sirius XM Doctor Radio show at NYU Medical Center on male pelvic pain conditions. There is still such a lack of understanding of female and male pelvic and sexual pain disorders, so it was wonderful to have this opportunity! The show was well received with lots of phone calls and email questions during the show. I went over how to identify possible musculoskeletal signs and symptoms and for the healthcare providers and how to palate the external and internal pelvic floor muscles. I explained that if there is pain with the palpation then it most likely is contributing and possibly the cause of their bladder, bowel and/or sexual dysfunction and pain. If you’re curious, some symptoms of male pelvic pain are erectile dysfunction or postcoital pain, as well as prostatodynia or nonbacterial prostatitis, which is pain in or around the prostate. I also discussed the research that supports musculoskeletal causes of male pelvic pain disorders, and suggested to the listeners that if they are unsure of their diagnosis then my book, Heal Pelvic Pain, may help guide them to a proper diagnosis and can also start their self-care program; however they also should seek out a skilled pelvic floor physical therapist (PFPT) that does hands-on, manual therapy to the external and internal muscles. I mentioned how in 2012, the AUA (American Urological Associaton) guidelines support that Kegels (pelvic floor muscle training) are not effective and most of the time contraindicated for overactive pelvic floor muscles and if they are seeing a PT that is only doing biofeedback and gave them Kegels, then they should seek another PFPT. I reiterated that the same guidelines should be followed for female sexual pain disorders. We still have a long way to go with regard to male and female pelvic and sexual pain; however we are making strides. If you have any comments or questions, please comment here on our blog! Thank you Sirius XM radio and NYU medical center for spreading and for sharing the knowledge!